This is a vase that could fit in just about any Daum Nancy collection. The Autumn scene shows trees in their peak falls colors. The mottled white and blue background shows a cloudless sky. Even colorful green and blue mountains are visible in the distance. Vases like this usually have no problem finding homes at very competitive prices. 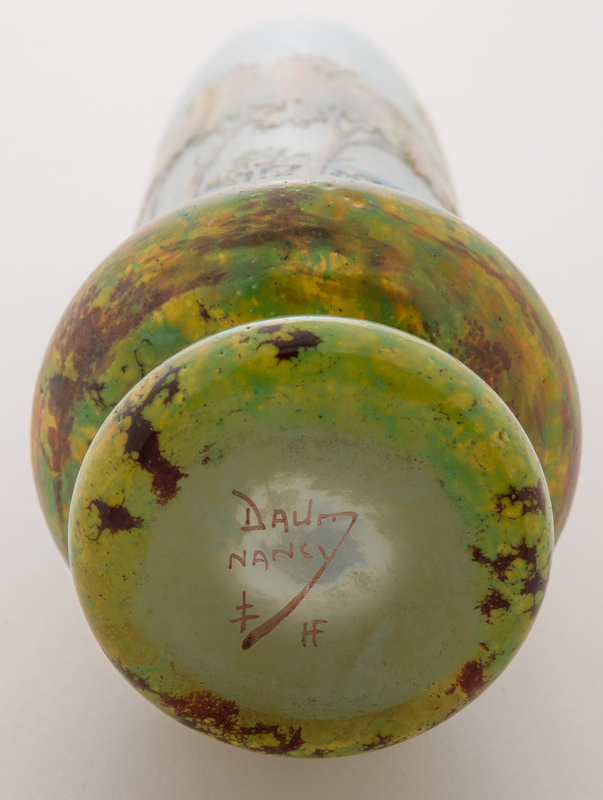 Signed on bottom of base "Daum Nancy" with cross of lorraine in black ink. 7.25 inches tall.